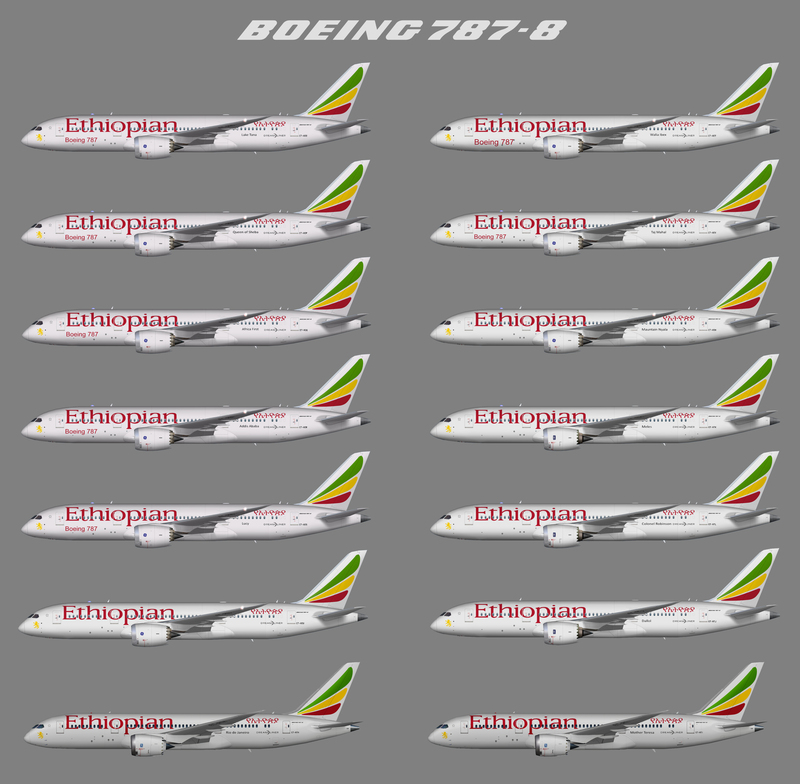 Repaint of the United Traffic Team (UTT)/FSPainter (FSP Boeing 787-8 in Ethiopian Airlines colour scheme. Base files package for UTT FSX/P3D/FS2004 available at http://unitedtrafficteam.com – Base files for FSP FSX/P3D at avsim.com . This is an AI aircraft only. Frames under the ET-AT* regs are the "terrible teens" and early-builds originally rejected by their original buyers that Ethiopian is taking up, which have Rolls-Royce engines. As-is the textures have them painted on the GE model.